Inclusion Ghana, a member of Inclusion International, is a network organisation working to reduce stigmatization and ensure full inclusion of all persons with intellectual disability and their families by advocating for their rights and needs. 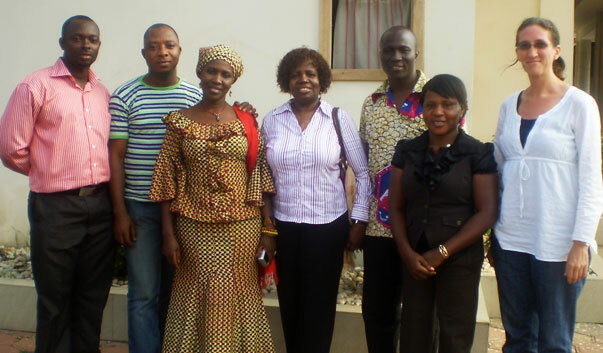 The idea of Inclusion Ghana started in 2006 when the first discussions were held between the various Disabled People Organisations in Ghana working with persons with intellectual disabilities (PWID) to create a platform that unifies the voices of PWID and their families. It was difficult to agree on a common structure then. In 2007, these organisations requested LEV National Association in Denmark to facilitate the process of establishing an umbrella organisation to co-ordinate and strengthen information sharing, networking and cooperation between organisations working with PWIDs. Discussion continued until 25th November, 2009 when Inclusion Ghana was formally established and duly registered with the Registrar General�s Department.